Every OFWs has various reasons why they decided to leave their families and work abroad but there is one common goal, to give their family a decent and better future, that they think, would not be possible if they were not given the opportunity to work outside the country. With the country's lack of job and income generating opportunities and investments during the past regimes, contractualization, age limit in applying for the jobs, most Filipinos resort to applying for overseas jobs even if it means leaving your family for years. 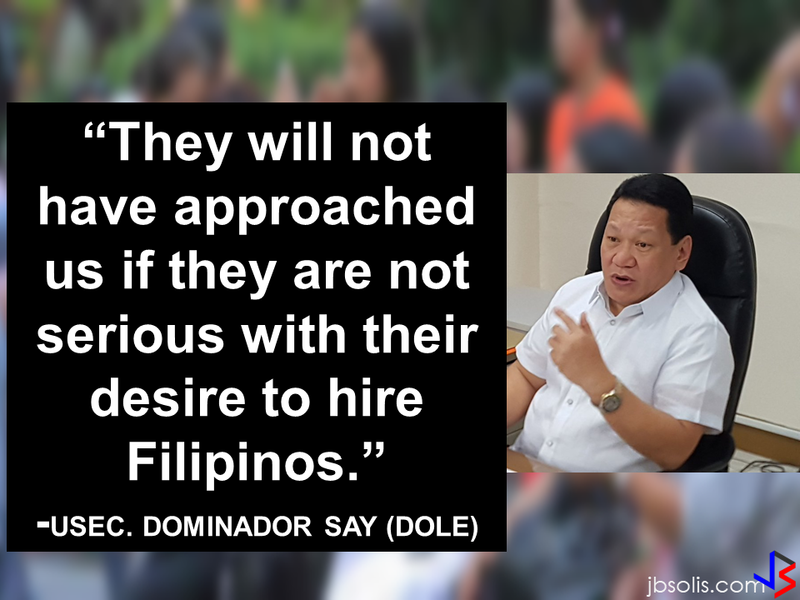 The only thing that gets the OFW going is a thought that with a slightly bigger salary, they could send their children to school, build their dream house and make their family back home happy. But what if your beloved son or daughter who is in the center of the equilibrium that balances your life to keep you going as an OFW suddenly vanished? 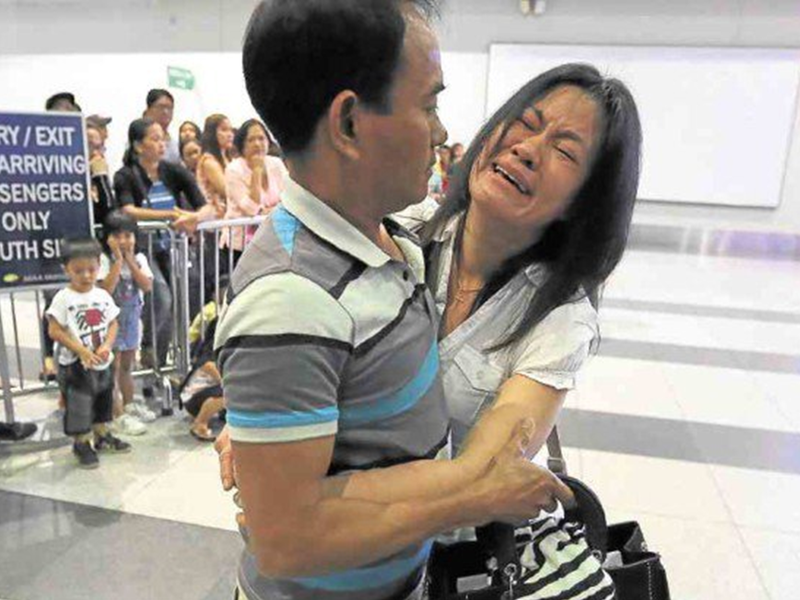 Luzviminda Siapo is an OFW in Kuwait who, like other OFWs has a huge dream for her son, Raymart, 19. As a single mom, she raised Raymart single-handedly, exerting every effort to give him the best things a mother could ever give to a son. Two years ago, she went to Kuwait to work as a household service worker in a Kuwaiti family. Armed with a dream to give him the best future she endured months and years without him on her side, waiting for the day when they can finally embrace each other again. On March 29, Luzviminda received a news that any mother would not want to hear. Something that happens only in a nightmare. A group of masked men abducted her child, told him to run and when he refused to run because he couldn't --he has a set of club feet, they shot him dead. They found him the next day along with 2 sachets of alleged "shabu". The murder victim who couldn't run away. "It was the message every mother dreads, but this mom was working in an Arab household in Kuwait. 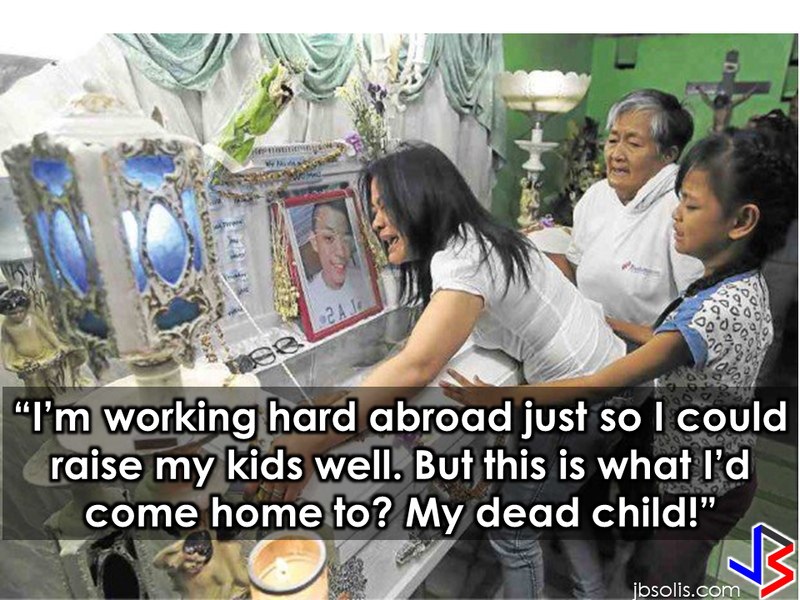 OFW Luzviminda Siapo's employer didn't want to believe that Luzviminda's son Raymart had just been killed. Luzviminda wailed and knelt and begged, and still her employer thought she was lying to get out of her contract and go home. Only when her boss was shown online news video about 19-year-old Raymart's brutal murder in Navotas did the employer let her go. Her son had an argument with a neighbor. Soon the son's name was found on the community blotter as a drug suspect. Raymart couldn't run even if he wanted to – he was born with two club feet, a congenital deformity that made him appear to be walking on the sides of his feet. He was a Person With Disability. One of the very last messages from Raymart was simply, "salamat ma," followed by a smiling selfie." 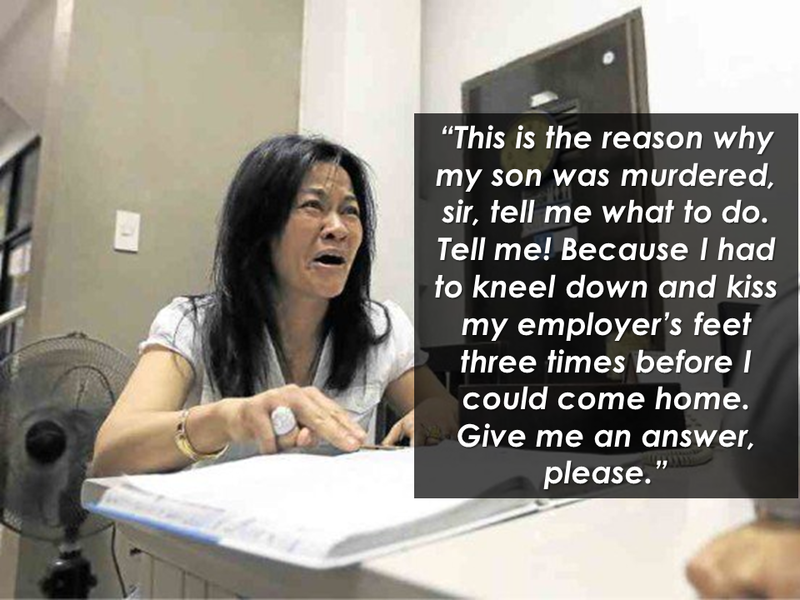 When Luzviminda learned about what happened to her son, she begged her employer to allow her to go home. Her employer was skeptical at first, saying that Luzviminda was just only making up stories for them to allow her to go home and get away with her contract. The HSW begged tirelessly. She wailed and fall on her knees and cried. Not after she has shown her employer about the news that her son was indeed murdered, they finally allowed her to go after she was on her knees and kissed the employers toes. At the airport, the only word that came out from her lips was "Kuya" then she started to cry on her brother's arms letting go of her every pain. 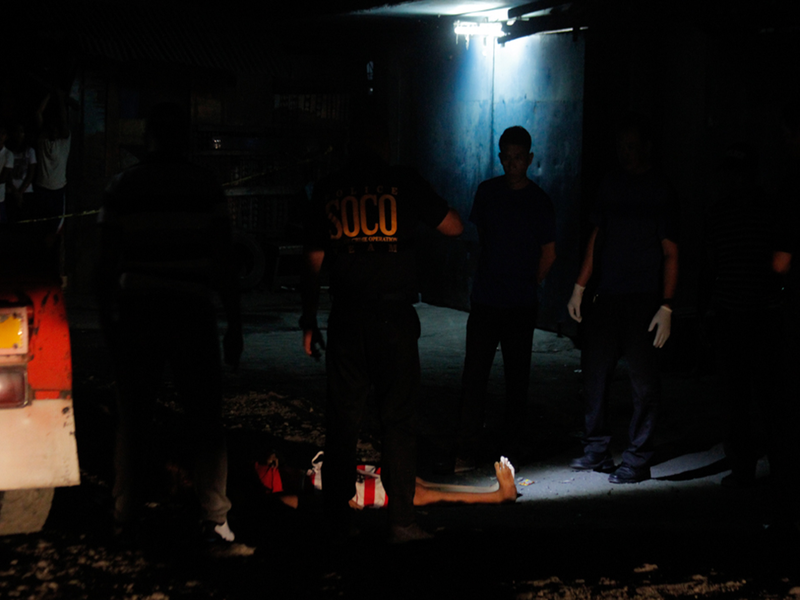 Searching for answers, she first went to the barangay hall to confront the authorities. “All it took was a false accusation for these people to murder my son. They did not bother to investigate, they did not bother to verify. They just killed him.” Pointing out that her son was reportedly has a heated argument with a neighbor, the next day he was already on the community blotter as a drug suspect and that's why he was killed. More than anything, Luzviminda wants justice. Justice for his son that was about to start a new job the day after he was abducted and ruthlessly killed. For her who wishes nothing more but to give her beloved son a better future. For other OFWs who suffered the same fate. Justice has to be served somehow.